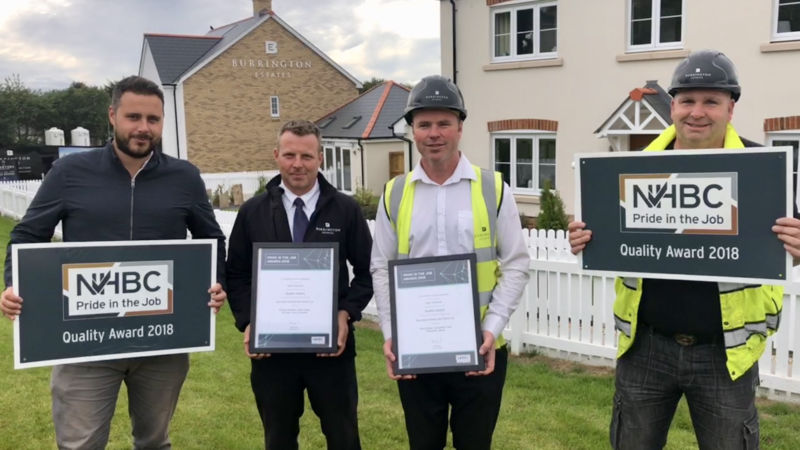 Awarded to only 450 site managers across the UK, the awards put Burrington Estates New Homes in the top 3% of house builders in the country. The National House Building Council recognises the industry's best site managers across the UK and has been driving quality in house-building for 38 years. At an exclusive event on Friday, Shaun and fellow site manager, Gary O’Gorman, who has been working on a luxury development in Plymouth, Notre Dame, were awarded the prestigious Pride in the Job awards. The Pride in the Job awards are one of the industry's highest recognised accolades, given to a small handful of the 16,000 site managers across the country registered with NHBC.